SelectLeaders, LLC (“SelectLeaders” or “We”) is committed to protecting the privacy of your personal data collected on our website. This statement summarizes SelectLeaders’s policy regarding the collection, use, and transfer of your personal data, and the security measures SelectLeaders employs to protect such data. SelectLeaders is a recruitment service and collects a variety of personal data necessary to provide these services. By choosing to enter your personal information on this website, you indicate your willingness to disclose this information to SelectLeaders. You also authorize SelectLeaders to disclose this information to its clients for their use in considering you for a position with a client of SelectLeaders. Posting your resume on SelectLeaders gives you high visibility of potential employers and recruiters that post open positions each day on the website and allows you to easily apply for such positions. It is SelectLeaders’s intention that only potential employers and recruiters have access to the resume database. However, SelectLeaders cannot guarantee that other parties will not, without our consent, gain access to this database. Candidates can choose to keep their resume private and it will not be visible to clients who use our Resume Search. Please be aware making your resume private can reduce your employment opportunities. You may remove your resume from SelectLeaders’s searchable database at any time, but employers and recruiters who have paid for access to the database, and other parties who have otherwise gained access to the database, may have retained a copy of your resume in their own files or databases. SelectLeaders is not responsible for the retention, use, or privacy of your resume in these instances. You should never provide social security, credit card or bank account numbers to prospective employers. Personal Information provided by you (such as via a resume uploaded to our website or a job application sent using our website). Publicly available data about you from third party sites and sources, including profiles created by you on other websites or other information you have publicly shared for the purpose of advertising or informing others about your background. Username and password for the account you may establish on our website. Your demographic information (such as zip or postal code, occupation, education and experience, and, if you choose to provide it, age, gender and race or ethnicity). We collect this information either through the registration process, from your resume, or in the manner described below. Job search behavior and preferences and a record of the searches that you make on our website. Information about the devices our visitors use to access the Internet (such as the IP address and the device, browser and operating system type, and other operating system support information). Pages and URLs that refer visitors to our website, along with pages and URLs that visitors exit to once they leave our website. Dates and times of visits to our website. Information on actions taken on our website (such as page views, website navigation patterns, and job view or application activity). A general geographic location (such as country and city) from which a visitor accesses our website. Search terms that visitors use to reach our website. Our Web pages contain electronic images (called a “single-pixel gif” or “Web beacon”) that allow us to count page views or to access cookies. In general, any electronic image viewed as part of a Web page, including an ad banner, can act as a Web beacon. Web beacons are typically very small, 1-by-1 pixel size, banner- like files, but their presence can be easily seen within Internet Explorer by clicking on “View” and then on “Source.” Web beacons are very small in order not to use valuable space on the computer screen that is better used to display helpful content. Our Web beacons do not collect, gather, monitor, or share any personal information about our website visitors, they are just the technique we use to compile our anonymous, aggregated statistics about website usage. The Web beacon system we use to collect this information is called Google Analytics (www.google.com/analytics) provided by Google, Inc. In order to present you as a candidate for a job with one of our clients, SelectLeaders must provide your personal information to potential employers. If you do not wish to participate in this service and benefit from the career opportunities that SelectLeaders offers, please do not enter your personal information into this website. SelectLeaders is not responsible for the actions of any potential employers or for their use or misuse of any personally identifiable information that SelectLeaders provides to them. In certain circumstances, the law may require SelectLeaders to disclose your personally identifying information without your knowledge or specific consent. For example, such information may be disclosed if required to comply with a subpoena, warrant, or court order, or if requested by a government institution with the legal authority to obtain that information. SelectLeaders may disclose your information to companies or persons we engage to perform services for us, such as those sending newsletters and processing credit card payments. The third party will only be given access to the information needed to perform that service, and solely for use in providing that service. SelectLeaders may disclose your personally identifiable information if it believes, in good faith, that disclosure is necessary or advisable to protect its interests. Your personal information may also be used anonymously and in the aggregate in order to develop industry, marketing, and employment statistics, which we may disclose on an aggregated basis. For these purposes, your information will only be used in a manner designed to preclude identification of any individual whose information is included in the data. SelectLeaders may also monitor IP addresses for security purposes, trend analysis, website administration, user movement tracking, and broad demographic information for aggregate use. The IP address of the computer you use to access this website is not linked to any personal information you provide on the website. SelectLeaders strives to protect the security of your information and employs commercially reasonable measures to do so. Because of the nature of Internet technology, it is impossible to eliminate all security and privacy risks. Some of the risks include the limitations of security, privacy, and authentication measures, and the chance that data and information transferred via this website may be subject to eavesdropping, breaking passwords, spoofing, harassment, and other security or privacy hazards. SelectLeaders shall not be liable for damages of any kind associated with these risks. In the event that a security breach has occurred, SelectLeaders will notify those individuals whose private information has been compromised upon SelectLeaders becoming aware of the security breach. When you place an order online at SelectLeaders, your credit card information is protected through the use of encryption, which is designed to make it difficult for your credit card information to be intercepted or stolen while being transmitted. SelectLeaders uses a third party service company to process its credit card transactions. SelectLeaders is not responsible for the actions of such third party service company. SelectLeaders reserves the right to change User IDs and Passwords at any time to protect the security and integrity of the Site. The website makes it easy to access the personal information you provide to SelectLeaders. You may access your own personal information at any time with your User ID and Password, and may correct any inaccurate information. If you need further assistance in accessing and modifying your personal information, or if you no longer desire our service, we will endeavor to provide a way to correct, update, or remove your personal data. 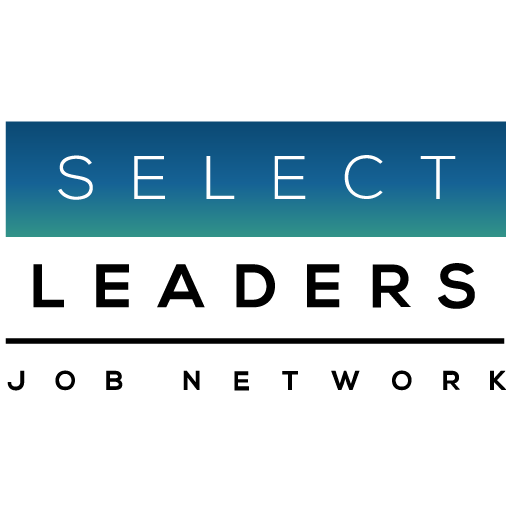 If you have any questions about your personal information, or no longer wish to participate in this service and benefit from the career opportunities that SelectLeaders offers, please email SelectLeaders at support@selectleaders.com. SelectLeaders may offer newsletters to registered and unregistered users of the website via email. If you wish to unsubscribe from a newsletter, please follow the directions at the bottom of the newsletter and you will be taken off the recipient list. SelectLeaders will periodically send you website update information and service announcement updates via email. Because these announcements contain important information about SelectLeaders’s service, as long as you remain a registered user, you will not be able to unsubscribe from these announcements. From time to time we will request information from you via surveys or contests. Participation in these surveys or contests is your choice, and disclosing any information as part of a survey or contest is completely voluntary. Information requested may include contact information and demographic information. Contact information will be used to notify and award winners. Survey information will be used for purposes of monitoring, improving, or enhancing the use and user satisfaction of our website. California Civil Code Section § 1798.83 permits users of our website that are California residents to request certain information regarding our disclosure of personal information to third parties for their direct marketing purposes. To make such a request, please send an email to info@selectleaders.com or write us at SelectLeaders, 575 Lexington Avenue, Floor 4, New York, NY 10022.